Carolyn has over 25 years of experience in high tech marketing and sales management, which includes an in-depth background of channel development and collaboration. 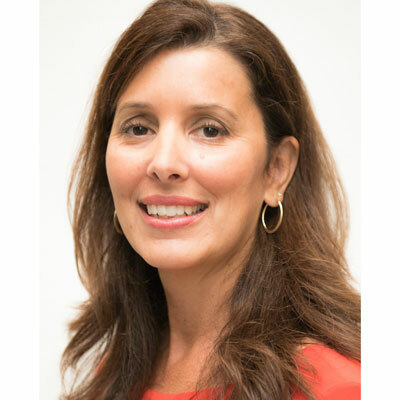 At Attivo Networks she is the Chief Marketing Officer responsible for overall marketing strategy, building new market and company awareness, and creating customer demand through education programs, channel and technology partnerships. Carolyn is a known high-impact player and has a proven track record for successfully building new markets and unprecedented revenue growth for some of the industry's fastest growing high-tech companies including Cisco Systems, Juniper Networks, Riverbed, Nimble Storage, and Attivo Networks. She is an active contributor to byline articles, blogs and actively speaks at industry and channel events on cybersecurity technology and trends. Additionally, for 5+ years she was an advisor to the Association of Strategic Alliance Professionals and often participates as a guest speaker at Santa Clara University where she helps educate undergrad and MBA students on marketing and channel disciplines. Attivo Networks provides deception technologies for in-network threat detection in order to mitigate the risk of an expensive and brand damaging breach. The company shipped its first product in Q4 2014, and over the last three years, Carolyn has actively built programs to drive customer and channel partner sales and momentum. Since joining, she has developed the framework for the company's channel program, partner profitability models, and joint marketing programs. Additionally, she built out the integration partner program that makes it easy for channel partners to provide customers with an adaptive security defense that includes prevention solutions (firewalls, NAC, SIEMs, Endpoint, etc.). That integration with Attivo detection allows them to offer customers the most comprehensive and responsive information security defense. The value to our channel partners is their ability to seamlessly provide technology innovation and extend their current portfolio offerings for the benefit of new incremental revenue opportunities. Last year, Attivo also built out its professional services organization and is extending its training and education programs to support our partners and to help them create additional professional and managed service offerings. Attivo is a dedicated channel-centric company and our goal is to grow our partner base in proportion to market demand and for maximized partner profitability. As we are still an emerging technology, our partner goals are based upon building a value-added partner base that can learn from initial joint selling and use this education to create new opportunities that they are able to drive. Our goals include working closely with our strategic partners on business alignment and how we mutually create market demand and sales so that they can hit revenue targets and optimal profitability. Carolyn was a CRN WOTC 8 times and a Power 100 member 7 times as a result of her accomplishments and work with channel partners. Additionally, she was included in the AltoCloud CEO, Barry O'Sullivan roundup highlighting Cisco alumni who dominate Silicon Valley Marketing. She was on Fox News and has spoken as an industry expert at the Fountain Blue leadership panel, Santa Clara University, and multiple vertical, technology, and channel events. Attivo won 27 awards in 2017, based on the brand and technology positioning that Carolyn established for the company, including CRN Security 100, Emerging Vendors, and Partner Program. My daughter recently did a school report on Sacajawea and I was truly surprised at what this woman was able to accomplish at such a young age. At 16 years old, she was pregnant and led the expedition of Lewis and Clark to Fort Mandan. During this 5-month journey, she was the only woman and demonstrated immense bravery and dedication to lead these men to their destination. She is a great woman to admire for her leadership, commitment to her son, and strength to succeed, even in the most undesirable situations. A professor at Santa Clara University recently asked me to speak with her class about hiring manager perspectives related to the short job tenure of millennials. This answer seems applicable to 16-year olds too. My advice is, "Think before you leap". I encourage everyone to be adventurous in what they want to do, but also keep in mind that people are investing in you and that you should make a mutual commitment when people hire you. Think about what you want before you commit and when you do, give it at least 2 years to truly learn the trade. This may sound funny and tactical, but I would master the Adobe Creative Suite. There is so much content that needs to be created and updated today, that I wish I knew how to use the Suite at an expert level. This would remove reliance on others to create, make changes or updates, especially when things are rushed. Being an expert in PPT, Word, Excel and Adobe Suite should be table stakes for business professionals. Extra bonus points for those that know how to use marketing automation tools and can do basic website updates. I really enjoyed the book Radical Candor: Be a Kickass Boss Without Losing Your Humanity, by Kim Scott. The book focuses on how to be a great boss by using candor and being able to say what you really think in a way that still lets people know you care. It gets people thinking beyond business and about the people. The book discusses how we are all human beings with feelings and how our work is a personal expression of our identity. I believe it has made me a better boss and have much deeper relationships with my team.